Baskets neaten the place right up. Buy your Baskets here today. 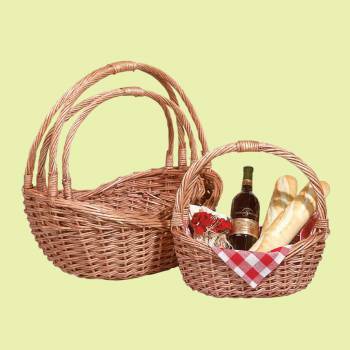 Baskets Set of 3 Natural. Set of three nesting bistro baskets. Largest is 20 1/2"l x 14" w x 21" h.